Experience the joys of a working farm, complete with cute animals and live crops when you visit Pahl's Country Store and Farm Park. Pahl's offers a variety of fun farm activities and off-site services. 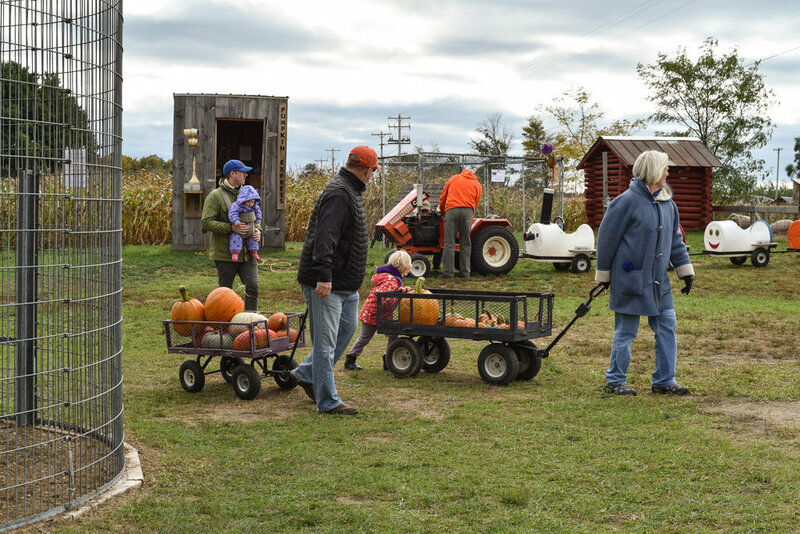 Choose your own pumpkins from our u-pick patch, sit back while the children enjoy exciting rides, and end your perfect trip with homemade cider and donuts from our country store. Sitting on gorgeous farm land, Pahl's provides a beautiful, scenic backdrop for any occasion. Our covered bridge and cabins serve as the perfect destination for weddings, parties, and events. At Pahl's, we offer a wide array of cabins, carports, storage buildings, garages, motor home covers, and sheds to best fit your needs. All of our carports and buildings are engineered certified and customizable.